Posted by crawfobn on Wednesday, September 26, 2018 in Uncategorized. 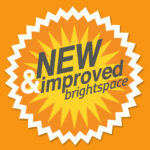 Every month, Brightspace will release new features and updates. 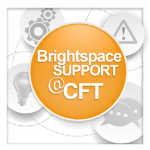 You can get a comprehensive view of the updates here, but this blog post will give you a quick overview of what’s new on Brightspace! Users can now download and print an uploaded syllabus from the Course Overview area of Content. Instructors can now associate existing discussion topics to a new group or section during the group or section creation process. In addition, users can associate existing discussion topics to groups or sections not associated with any other discussion topic. Note that users can only choose existing discussion topics that have no existing discussion posts for association. This feature is useful for creating groups or sections after copying a course, or if discussion topics are accidentally created before groups or sections. Instructors can now differentiate between duplicate learner names by displaying the username or Org Defined Id beside a learner’s name. Instructors can enable this option in both the Manage Groups and Manage Sections tools. This feature enables instructors with the Manage Grades permission to view the exact date and time a learner’s grade is released or unreleased. The Grade Event Log now includes a column that displays the type of event that occurred (Grade Released and / or Grade Unreleased) in addition to the existing Grade Updated events. As a result, instructors can review and validate the dates a learner’s grades were released or unreleased. Users can now link directly to content modules, submodules, and course overviews (if available) directly from the Insert Quicklink option in the HTML editor. This change allows users to insert quicklinks directly to specific portions of course content within any tool with the HTML Editor. Previously, only a link to the Content tool was available from the Insert Quicklink option in the HTML editor. A chemistry equation writing function is now available in the HTML Editor. Users can select this feature directly within the equation editor. 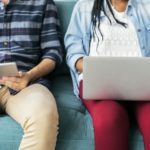 Instructors and course designers can release items such as content to learners either based on the learner’s final grade being marked as released or based on their final grade being marked as released and the grade meeting a set threshold. For example, a course survey could be released to a learner once their final grade is released and they have received a certain grade. This can be completed everywhere a user can create and attach release conditions. When a learner submits an assignment in a TII enabled assignment submission folder, the TII Submission ID is displayed in the Submission History page. Users of Video Assignments and Virtual Classrooms by YouSeeU will notice improved interface designs and functions.